A downturn in the mining sector is flowing through to the industry’s service sector with projects being shelved or scrapped, and austerity measures in full swing. Australia’s coal sector has been hit hard with miners operating on thinner margins and an estimated 9000 jobs cut in New South Wales and Queensland over the last 18 months. 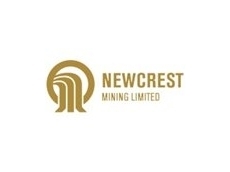 Australian Mining recently reported New South Wales mining service companies are doing it tough with small to medium businesses which have grown on the back of the boom looking to diversify for survival. 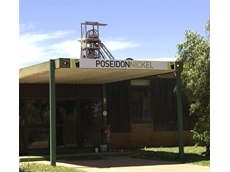 A trend that the ABC reports has extended to similar companies in Queensland particularly those servicing the Bowen Basin. Darryl Stark runs a family-owned engineering company in the north Queensland city of Mackay and says the phones aren’t ringing. "I feel if things don't pick up in the near future there's going to be a lot of good companies in Mackay that have set up for the mining industry that are going to be closing down and that's very sad to say that," he said. When coal prices were high and miners were ramping up production Stark’s workshop operated seven days a week just to keep up with mining equipment maintenance. But in the last few months he’s had to cut eight staff. "There was no work coming in at all, so no work coming in at all means we can't pay our guys," he said. Australia’s mining sector is witnessing a sharp rise in the number of projects being put on the backburner, cost blowouts, and the slashing of exploration budgets. According to the Bureau of Resources and Energy Economics’ report on major projects, it is estimated in the last 12 months Australia has missed out on $149 billion of resources projects spending, with 18 projects being either deferred or cancelled. The Queensland Resources Council estimates about $50 billion worth of coal projects have been put on hold. Chief executive Michael Roche said that figure includes more than a dozen projects. "There's no getting around the fact that is probably the most difficult conditions for the coal industry in the last 10 years," he said. "We've seen coal prices plummet at the same time as cost have been skyrocketing, and so there are many mines who are in loss-making situations." 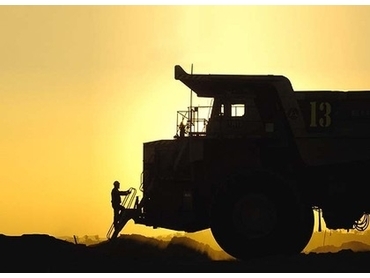 A recent survey of the Bowen Basin’s mining services industry conducted by the Regional Economic Development Corporation found business is already feeling the effects of a downturn. "We had about 120 companies respond and 83 per cent of them were reporting a decline within the last nine months," Regional Economic Development Corporation’s Narelle Pearse said. Mining services company Mastermyne Group has reduced its workforce from about 1,300 to 900 over the last 12 months. Chief executive Tony Caruso said the Queensland coal sector is coming down from unprecedented highs, making the slowdown even more noticeable. "It certainly feels like a very quick and large fall from where we were," he said. Roche said job losses and the scaling back of projects is part of a national trend. "We know that this is also being felt throughout the Hunter Valley and Western Australia," he said. "We know that it's not all good news for the iron ore industry and the gold industry. There are pressures there and so cost-cutting is not uniquely a Queensland phenomenon. "It's happening in the mine industry throughout Australia and it's also happening throughout parts of the oil and gas industry. "We've seen coal prices plummet at the same time as costs have been skyrocketing and so there are many mines who are in loss-making situations." But mining service company WDS Limited MD Terry Chapman disagrees saying claims the mining boom is over are overstated. Chapman expects coal and gas exports to continue to surge for decades to come, The Australian reports. But Chapman said government needs to be careful not to smother the growing coal seam gas sector with regulation and red tape. "Regulation, red tape, workplace flexibility are all factors in the success of what is an embryonic industry with huge potential to advantage the nation," he said. Discussing government regulation Roche said the carbon pricing scheme has fuelled the slowdown. "It's death by a thousand cuts, the carbon pricing scheme. Each year it gets more severe," he said. Like Chapman, Roche said miners are looking for policy certainty in politics. "Tony Abbott's talking about doing away with the carbon pricing scheme all together, we'll wait to see of what he would replace it with but that seems like a positive move," he said. "There is talk that Kevin Rudd might move from the carbon tax to floating carbon price. That would be an excellent move as well because at the moment the coal industry is subject to a carbon price of $24 per tonne of CO2. "In Europe it's $6, so four times as expensive in Australia as in Europe for the cost of buying carbon." Roche explained the carbon price is not the only factor sparking a downturn. "I don't simply blame the carbon pricing scheme. It coincided with a plunge in coal prices and of course the industry was its own worst enemy in letting costs get out of control," he said. "And of course governments have been reaching in for additional taxes and of course our own State Government is not immune from that because there was a very big increase in coal royalties in the September budget last year." But Mackay Chamber of Commerce chairman Tim Miles said it isn’t all bad news. "It's important to understand that Mackay is still a really strong business community. It's just we have come off those incredible highs," he said. Miles recommends businesses need to take a longer term perspective, even if that means cutbacks. "They need to look at reducing labour costs and that actually means reducing wages, which is a difficult conversation to have but it really is a conversation that they need to have with their staff," he said.